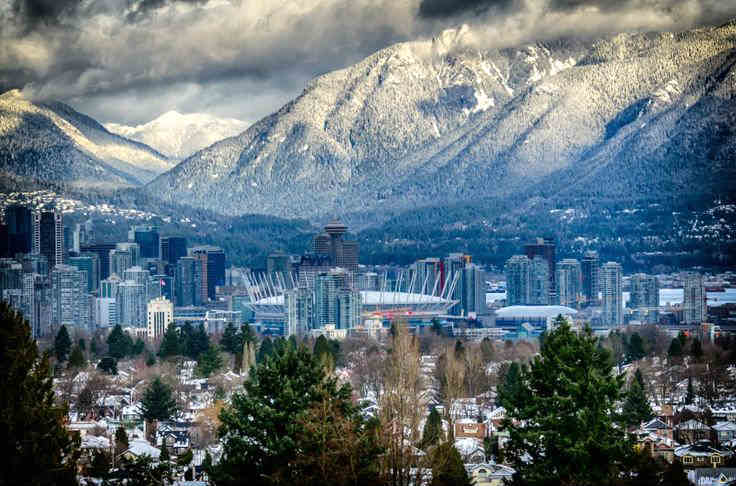 The snow is melted, the sun is out – it’s Springtime in Vancouver. While for most it means more hikes, walks, mountain biking, it also means that it’s time to do a little spring cleaning—and that also means roof repair. 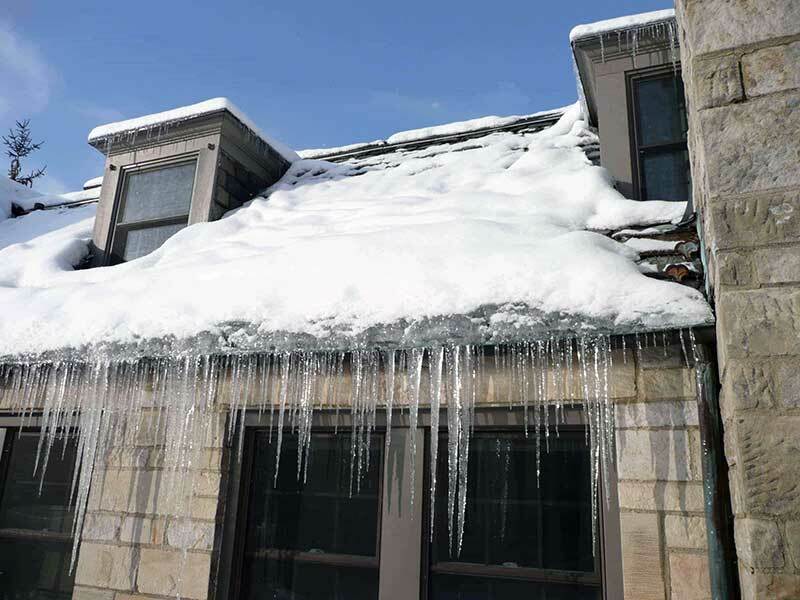 A tough winter can be hard on your roof, especially after long periods of snow, wind and ice. Make sure trees and shrubs are not rubbing the roof, and clear from causing damage. Every residential roof could use a simple inspection in the spring. With regular, seasonal maintenance, roofs last longer and perform better. Whether you do some of the maintenance work yourself or hire a professional roofing contractor to get it done, there are some key things to do in the spring. Cleaning the roof is essential because it helps you get a better view and determine if there are any broken or cracked spots that need repairing. When you’ve had a couple days of sun without rain, brush away branches, twigs, leaves, nests and other debris. Check gutters and downspouts as part of the inspection process. After you’ve cleared away debris from your roof, you should inspect the attic, chimney, vents, skylights for any water pooling, leaks or damp areas. Darker patches are often a sign of water damage and should be treated immediately. If you see any black mould it means that the area has been problematic for awhile and may be a symptom of a much larger problem. You should contact a roofer immediately. If any shingles are missing, they should be replaced immediately as they can lead to leakage and other structural damage. If you see small holes, cracks, or tears, they can be fixed without replacing them, saving you money. Any broken, curled or missing pieces must be taken care of before waterproofing the vents. Examine the vents or get a roofer to do it to make sure the sealants have not cracked or chipped. Be careful while checking the areas around the vents to prevent any mishaps. If a vent is cracked, you should get a professional roofer to fix it. When inspecting a chimney, you should be extra vigilant as this is a common problem area. If the caulking is worn, get a professional to replace it. They will apply a new high-quality sealant to prevent any water damage which will be more costly than fixing the problem immediately. Troughs and downspouts are meant to safely carry water off your roof and away from the walls to prevent pooling and water damage. 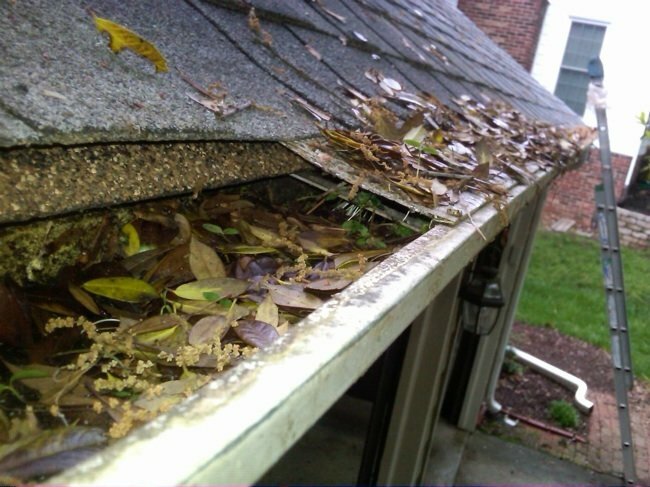 If your gutters have debris from leaves, sticks, or branches built up in them you will need to clean them out in preparation for spring showers. Cleaning gutters is a simple task and you can do them by yourself or hire a handyman to do it for you. Make sure tree limbs don’t touch or overhang your roof. If they do, they can easily scrape or fall on the shingles and loosen the granules that protect your roof. Trim trees close to your home to avoid any limbs touching the roof surface or the gutter. If you trim your trees it will also prevent organic matter from falling onto your roof. A little leaf or a few pine needles won’t damage your roof, but if they collect and are deep enough to hold moisture, they need to be removed from you roof. Anything that holds moisture will cause mildew to form and can block gutters or cause extra weight on the roof. Dark coloured patches on a roof can indicate mold, algae, or fungus is living there which can eat away at the roofing material and can cause leaks. A treatment of chlorine bleach or copper sulfate solution can be applied and can kill the mould but there are more environmentally friendly options available. Recently some shingle manufacturers have created algae-resistant shingles that have a specially formulated granule that inhibits algae and moss growth. 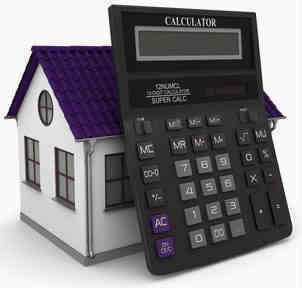 Be sure to ask your roofer about these options. Cutting back trees in the surrounding area will reduce moss growth, as it will allow sunlight to dry up the shade and moisture that moss love. To get rid of moss, there are some environmentally friendly sprays you can use to get deep into the roots. Soffits are metal or wood panels between the wall of the house and the roofline, while fascia are the metal or wood boards along the roofline. Both of these components are crucial for a leak-free roof so don’t overlook them when doing your spring roof maintenance. Check to see if the soffits or fascia have any water spots, cracks, or holes. Depending on how damaged they are, they might need to be repaired or replaced. If you’re unsure, ask a professional roofer to take a look at them. Spring time is for renewal. It’s when flowers start to blossom and plants start to grow. It also a time when homeowners take a look around and try to tidy up and throw away things that aren’t needed. Part of your spring cleaning should include either taking a good hard look at the condition of your roof to see if it’s time to call a roofer. If you need a roofing expert, give Cambie Roofing a call. They will answer any questions you might have and will give you a free roof inspection so you can make the most informed decisions about your home.